SINGAPORE – Hitachi Data Systems Corporation (HDS), a wholly owned subsidiary of Hitachi, Ltd. (TSE: 6501), today unveiled the next generation Hitachi Hyper Scale-Out Platform (HSP), which now offers native integration with the Pentaho Enterprise Platform to deliver a sophisticated, software-defined, hyper-converged platform for big data deployments. Combining compute, storage and virtualization capabilities, the HSP 400 series delivers seamless infrastructure to support big data blending, embedded business analytics and simplified data management. “Modern enterprises must merge their IT and OT environments to extend the value of their investments. HSP is a perfect solution to accelerate and simplify IT/OT integration and increase the time to insight and business value of their big data deployments,” said James Dixon, chief technology officer at Pentaho. “The HSP-Pentaho appliance gives customers an affordable, enterprise-class option to unify all their disparate datasets and workloads—including legacy applications and data warehouses—via a modern, scalable and hyper-converged platform that eliminates complexity. We’re pleased to be working with HDS to deliver a simplified, all-in-the-box solution that combines compute, analytics and data management functions in a plug-and-play, future-ready architecture. The Hitachi Hyper Scale-Out Platform 400 is a great first-step in simplifying the entire analytic process. 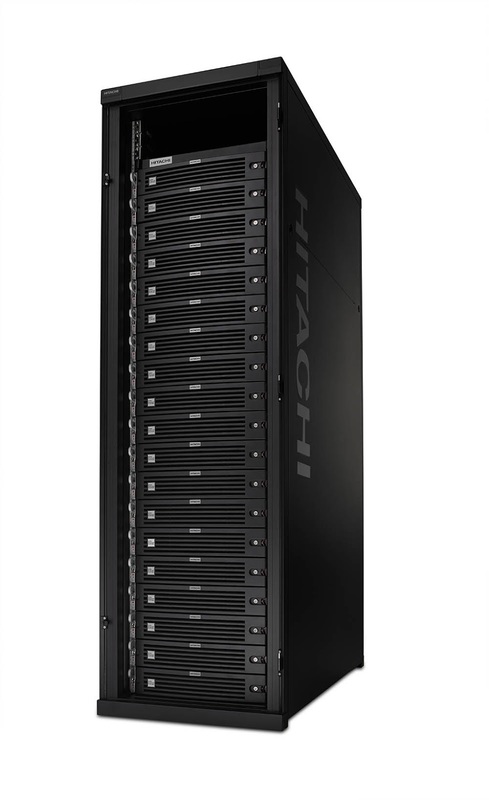 ”With HSP, Hitachi continues to deliver on the promise of the software-defined datacenter to simplify the delivery of IT services through greater abstraction of infrastructure, and improved data access and automation. While its initial focus is on big data analytics use cases, the company’s long-term direction for HSP is to deliver best-in-class total cost of ownership (TCO) for a variety of IT workloads. Hitachi will offer HSP in two configurations to support a broad range of enterprise applications and performance requirements: Serial Attached SCSI (SAS) disk drives, generally available now, and all-flash, expected to ship in mid-2016.